In Hear This, A.V. Club writers sing the praises of songs they know well. This week, we’re picking songs that have a person’s name in the title. Even though they’re my favorite band by a healthy margin, I’ll admit I rolled my eyes when I heard that The Mountain Goats’ newest album was going to be about professional wrestling. I wouldn’t go so far as to dismiss wrestling as silly, exactly, because it’s hard to deny the physical artistry and dedication to craft that its practitioners display. But I’m in no way “a wrestling guy,” and I typically prefer my serialized entertainment in a form less soaked in testosterone and dependent upon the mighty suplex. So when I bought Beat The Champ, I had to ask myself: Beyond my general willingness to give Mountain Goats frontman, singer, and lyricist John Darnielle the benefit of the doubt, why the hell was I listening to a bunch of songs about a “sport” I cared nothing about? 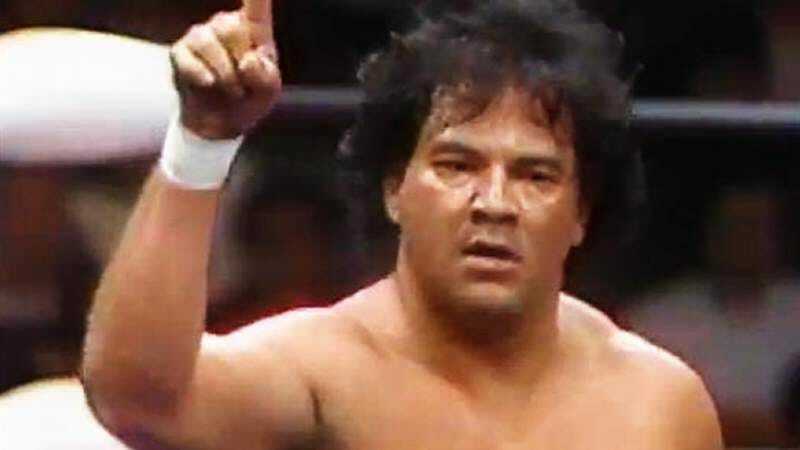 The key, for me, was in the album’s second track, the deceptively upbeat “The Legend Of Chavo Guerrero,” written in honor of a Mexican-American wrestler much beloved by a young Darnielle. Bursting out after a peaceful, sleepy opening track, “Chavo Guerrero” sets the album’s tone immediately, with an upbeat tempo and a relentlessly giddy energy. The acoustically driven folk-rock serves as a solid bed for Darnielle’s lyrics and ever-distinctive voice, even if it’s not the most musically interesting song of the volume—poppier and less daring than the beautiful elegy of “Heel Turn 2,” and lacking the raw mania of id anthems like “Foreign Object” or the psychotic metal riff “Werewolf Gimmick.” But Darnielle is first and foremost a lyricist, and it’s in that sphere that “Chavo” earns its place as the album’s first big swing. Things start off simply, with a lively rundown of Guerrero’s career as a longtime staple of the California wrestling scene, winning tag-team matches and taking down foes. The second verse turns toward the autobiographical, as Darnielle recounts his own childhood experiences, rooting for Guerrero with eyes glued to an old black-and-white TV. (Plenty of songs on Beat The Champ are told from a first-person perspective, but this is the one most obviously drawn from the writer’s own life.) As the song progresses, “The Legend Of Chavo Guerrero” reveals itself to be of a piece with 2005’s The Sunset Tree, Darnielle’s beautiful meditation on growing up in the home of his abusive step-father, the late Mike Noonan. In that context (and as made explicit in the album’s cheekily titled liner note, “This Here Is An Album About Professional Wrestling”), Guerrero becomes a kind of real-world superhero, diving off the top rope to moonsault evil wherever it stands and deliver justice for a kid who couldn’t find it on his own. In the final verse, all the subtext falls away, and Darnielle directly addresses Noonan, the man who first introduced him to the spectacle of the sport. The singer condemns his late step-father for his failings, comparing him unfavorably with Guerrero’s unwavering, one-sided support: “He was my hero back when I was a kid / You let me down, but Chavo never once did / You called him names to try to get beneath my skin / Now your ashes are scattered on the wind.” The bitterness of that last line, juxtaposed against the lightness of the melody, captures what makes The Mountain Goats so vital: an ability to distill the rawness of the human emotions that hide within our various obsessions, and lay them out for the listener with power and grace. It answers the question, “Why care about songs about wrestling?” with enough force and honesty to make even a leglock agnostic sit up and take notice.